For accompanying study from God Betrayed click here. Click here for links to all lessons on The Pilgrims and Puritans in New England. 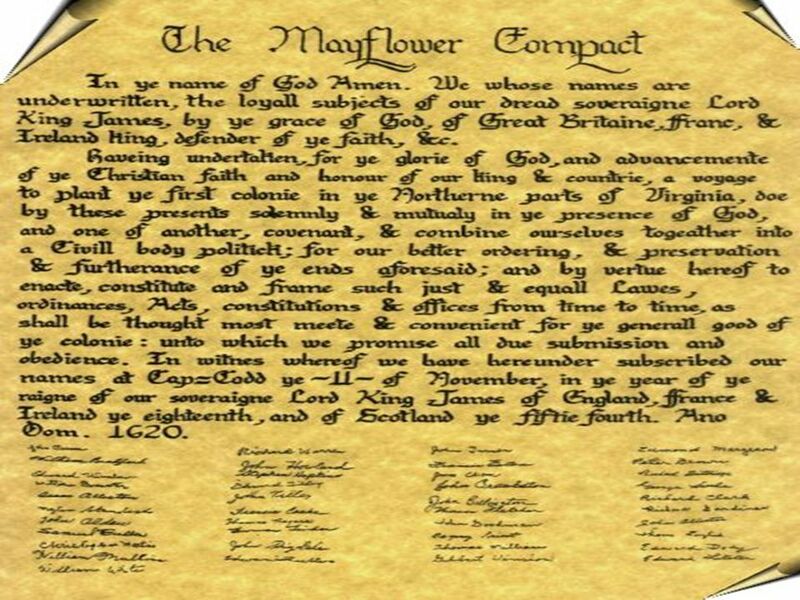 Contrary to revisionist history, the Mayflower Compact had little to do with the founding principles of America. The Pilgrims overcame much adversity, such as hunger, drought, and heat which caused their corn to wither, and the failure of delivery of much needed supplies from England. They increased to three hundred souls and obtained a patent from the New England Company on January 13, 1630. 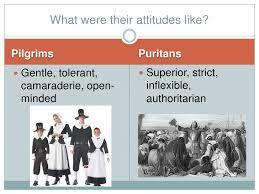 The comparative handful of Pilgrims who were eventually absorbed by the Puritans are much admired by Americans. William H. Marnell, The First Amendment: Religious Freedom in America from Colonial Days to the School Prayer Controversy (Garden City, New York: Doubleday & Company, Inc., 1964), p. 44. Peter Marshall and David Manuel, The Light and the Glory, (Old Tappan, New Jersey: Fleming H. Revell Company, 1977), pp. 108-109. John Callender, The Civil and Religious Affairs of the Colony of Rhode-Island (Providence: Knowles, Vose & Company, 1838), p. 64. Isaac Backus, A History of New England With Particular Reference to the Denomination of Christians called Baptists, Volume 1 (Eugene, Oregon: Wipf & Stock Publishers, Previously published by Backus Historical Society, 1871), pp. 27-28.